The Steam PC gaming platform has broken the 5 million concurrent users mark, illustrating that the PC is still a key gaming platform. 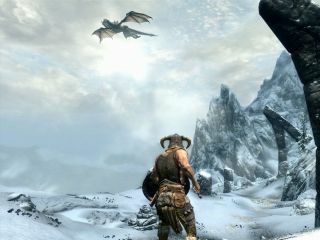 The total was reached in early 2012, with major games like Elder Scrolls V: Skyrim pushing the Valve-owned platform beyond a key landmark. The ever-popular, and ever-wonderful, Team Fortress 2 is among those trailing Skyrim in the rankings, with Steam's Christmas sale also boosting numbers, and the likes of the iconic Counter Strike, Modern Warfare 3 and Counter Strike: Source all performing admirably. According to the Steam use stats, the peak was reached on January 2, with the next day's maximum a not inconsiderable 4.7 million concurrent users. It's clearly a good time for PC gaming, with Skyrim's success on Steam and, of course, the launch of the already powerful-looking Star Wars: The Old Republic. The MMO is built on EA's Origin client, which has not published figures like Steam, but appears to have been a massive smash-hit both critically and with the general public. PC gaming has been beleaguered of late, but it is not yet clear if the current sunny climate is springtime for the platform or an Indian summer.